If you agree with me here, please call and write and email your legislators and let them know that we need a more equitable way to deal with our state budget. If you want to identify the real values of any institution - from churches, mosques and synagogues to corporations, states and nations - you do not examine organizational creeds, pledges or mission statements. These are words, often carefully crafted by PR experts, and they are frequently deceptive. The heart of any institution is, instead, found in its budget, and budgets do not lie. When all is said and done, we spend our money on the things that matter most to us. This is essential to bear in mind, because beneath the often dry and convoluted columns of numbers, a budget is both a road map and a report card on an organization's moral soul. By this measure, our governor and state Legislature are flunking. Yes, these are difficult times; we all know that money is tight. Yet, most of our lawmakers are looking to balance the budget on the backs of our most at-risk citizens. Three thousand years ago, Hebrew prophets like Isaiah, Jeremiah, Amos and Micah proclaimed that the virtue of a society is measured by how it treats its most vulnerable members. If the prophets were to visit our Statehouse today, they would be appalled. The ethical alternative to draconian budget cuts is clear: increase revenue. Who and how we tax is also a moral issue. Today, Idahoans earning $25,001 a year pay at the exact same rate - 7.8 percent - as those earning $250,000 or more. Indeed, given the advantages enjoyed by the wealthy - access to expert tax preparation services and a host of tax benefits and loopholes - poor families actually pay a much higher percentage of their income in taxes than the most prosperous Idahoans. This is both unjust and fiscally unsound. Raising state income tax brackets for well-to-do citizens who can afford to pay would create a more equitable system and provide the revenue that would enable us to better support education, health care and vital social services. So let there be no doubt: We have the power to determine how we raise and allocate our communal resources, and the choices that we make provide the surest reflection of our collective morality - a topic of utmost concern for all people of faith (and secular humanists as well). If our governor and Legislature decide to use the recession to gut our schools, eviscerate health care and destroy the safety net, it will be because that is how they put their values into action. Our leaders may opt for keeping money in the pockets of the wealthy over securing the welfare of the most vulnerable Idahoans. But if they do, they will have squandered any claim to moral governance, for a government incapable of empathy and advocacy for its most at-risk citizens is not just fiscally but - far more damningly - morally bankrupt. Last Shabbat, as I was davenning, the following poem began to form in my mind. It's a kind of meditation on praying as I get older. On Sunday, many of us who don’t care much about football will eagerly watch the half-time show, featuring the classic British rock band, The Who—sort of. The thing is, two of the four members of the band—drummer Keith Moon and bass player John Entwistle—have died. So we basically have half of The Who, Pete Townsend and Roger Daltrey. 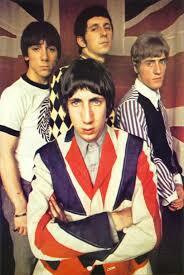 Hence the question: is half of The Who still The Who? Maybe this indicates that some band members are more important than others. If the remaining half of The Who was Moon and Entwistle, few would think of them as The Who. In other words, maybe there is a kind of “essence” of a band—Lennon and McCartney with The Beatles—and that’s the part that makes it that band. By way of example: Nirvana went through quite a few drummers, and with each, was still Nirvana. But once Kurt Cobain died, the band was unquestionably dead with him. And so the old Jewish question: Is there a parallel “essence” to Judaism? Clearly there are many variations in Jewish practice: Reform, Conservative, Orthodox, Reconstructionist, Ashkenazi and Sephardi, etc. Is there a common element that is essential—a Kurt Cobain or Lennon/McCartney of Jewish practice(s)? Or is essentialist thinking out-dated and obsolete, as some suggest? Maybe The Who are just The Who because they call themselves The Who, and this is just a question of semantics. This coming Shabbat, Yitro, will mark the thirty-sixth anniversary of my Bar Mitzvah. Thirty-six is a very important number in the Jewish world. An old legend teaches that thirty-six (lamed-vav) righteous people, unbeknownst even to themselves, secretly sustain the world. This is probably related to the fact that thirty six is two times eighteen--and eighteen is the numerical value of chai, or life. In other words, thirty six is the Jewish equivalent, in a sense, of two lifetimes. And that's pretty much how it feels on this anniversary. February 9, 1974 seems like lifetimes ago. The country was enmeshed in the Watergate scandal; just a few months later, Richard Nixon would become the only president to resign the office. This was certainly very much in the air in our suburban DC synagogue, comprised primary of government workers. It was also on the pop radio stations; I remember singing along with the hit song of the season, Lynyrd Skynyrd's Sweet Home Alabama, with the line: "Now Watergate does not bother me. Does your conscience bother you? Tell the truth." And in those days, before we learned the truth of global warming, the blizzard that swept the east coast on my Bar Mitzvah weekend was just another bit of typical winter weather, and no problem at all for my well-acclimatized extended family from Buffalo, New York. So much has changed over four decades, including in the Jewish world. Israel has gone from being a beloved underdog to the world's punching bag. Intermarriage, still fairly rare and the subject of scandal in my boyhood, has become the norm outside the Orthodox world. Spirituality has replaced ethnicity and a sense of Jewish obligation (and its partner, guilt) has ceased to function as a motivating factor for Jews under fifty or sixty. Feminism has revolutionized many areas of Jewish life. In 1974 there were two female rabbis; today they constitute the majority of most rabbinical classes in the liberal movements. And gay and lesbian Jews have moved from the margins into the mainstream. Of course Jews of all political and religious stripes and approaches debate the significance of these changes. We can--and do--tend to express our opinions about what we like and what we don't. But we should not lose sight of the fact that whether we like them or not, these changes are real and enduring. And not surprisingly, the Jewish world has lagged behind on its responses to these changes. We stubbornly hold on to obsolete approaches to membership, schooling and community. We act, in many ways, as if it were still 1974. We are selling albums in an age of i-pods. Needless to say, there is also much that remains the same. For my portion, I read the Ten Commandments. And I think it is safe to say that we still disparage stealing, murder, adultery, and coveting (though now, as then, our disparagement has not stopped us from committing plenty of those sins.) I'm not sure about bearing false witness; just five minutes of listening to folks like Rush Limbaugh and Glenn Beck on the conservative talk radio circuit make it clear that this seems to have become the acceptable norm, at least among a certain political subset. Keeping Shabbat as a sacred day, set apart, was difficult then and remains difficult--and worthwhile--now. But the world is changing, as it always has. If we do not change and grow with it, we condemn ourselves to fossilization.